After setting the tone with his first two leaks "What You Know About" and "One More Wish," Boaz returns with a visual entitled "Enemies." Watch it HERE! 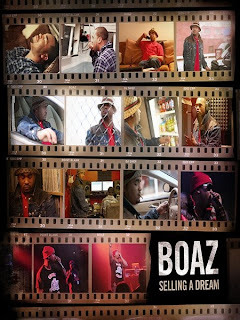 And keep an eye out for the rest of Boaz's drops comin soon, keep up with him from his tweets too. Boaz ft. S Money "Gangsta's Make The World Go Round"
This is the latest leak off Boaz's soon to be released mixtape "Selling A Dream" entitled "Gangsta's Make The World Go Round" ft. S. Money from his Pittsburgh crew Tha Govament. This is a personal favorite of mine as it shows Bo's versatility on the hook. I hope you guys dig it and we appreciate the support of everyone!! "Selling A Dream" drops in March!! Limited Edition Tee's You Say?? Hell ya they're limited edition! Joe Boots, Jewels and myself each did a limited edition tee for our Big L, J Dilla and Big Pun tribute featuring DJ Lord Finesse. Joe Boots did Big L, Jewels did Big Pun and I did J Dilla (he changed my life). We did 20 prints of each shirtThey were a huge success minus the couple spilt drinks- BIGUPS TO BOOT PRINTS!! Wouldn't have been able to do it without you guys !!! As always, Timebomb is bringin you the hottest, even the ladies! 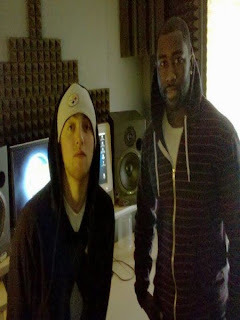 One of Pittsburgh's most promising rappers, Mac Miller, just left the studio with Jets pro-bowl cornerback Darrelle Revis. Seeing Mac's potential, Revis (aka Mr. Manhattan) reached out to the 18 year-old MC in a big way as the two put together a fun song for everybody to rock with as they go out this weekend. Play Clothes Spring 2010 Collection is HERE and almost gone! is said to be "some real straight from the heart street poetry." Click here for the upcoming featured joint entitled "One More Wish" from one of Pittsburgh's hottest artists out! Enjoy & be sure to come see the kid tonight at the Big L Tribute with Dj Lord Finesse. Tickets available here at Time bomb, come thru! 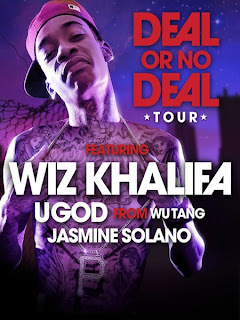 Rostrum Records, in association with iHipHop Distribution and Frank 151, is proud to announce Wiz Khalifa’s official “Deal Or No Deal” tour. After reaching #1 on the iTunes Hip Hop Charts in November, Wiz is setting out on this 40 city tour in support of the ground-breaking album. Wiz's grassroots rise to fame has led to sold out shows across the country. "The reaction we've gotten so far has been extraordinary," remarks Benjy Grinberg, President of Rostrum Records. "Pre-sales are through the roof and the excitement for the tour has been amazing to witness." In conjunction with the commencement of Wiz's tour, we're excited to announce the release of his highly anticipated video for "This Plane." Wiz's album release shows and previous tour dates were captured by his fans and edited together with incredible performance footage to create this amazing visual. The video documents the grind that Wiz has undertaken to get to where he is today. You can catch Wiz Khalifa, along with support from Yelawolf (second leg), Wu Tang legend U-God and DJ/MC Jasmine Solano in the following cities. More dates to come. 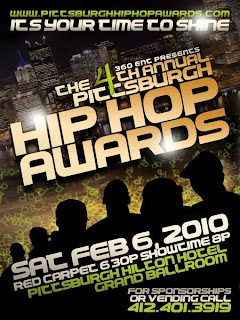 With the 4th Annual Pittsburgh Hip Hop Awards only a day away, the TBC fam would like to congratulate all the nominees, and wish you all the best of luck! 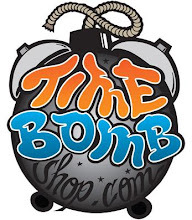 What better way to go in a winner than go in with your gear from Timebomb. Fight the snow and come get your life right along with your gear right tonight and all day tomorrow. Come cop your tickets too at $20 cash, $22 credit. Hip hop waits for no one, get here now! 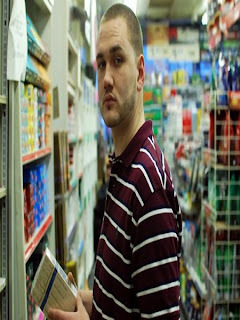 After a groundbreaking 2009 that saw Pittsburgh's Boaz release his critically acclaimed debut album "The Audio Biography," (One of iTune's Hip Hop Albums of the Year & Featured Artist of the Week, XXL Magazine Feature, The Source, Okayplayer, HOT 97 "Who's Next") he is back with another solo mixtape entitled "Selling A Dream" Below is the first leak off the tape "What You Know About" produced by Statik Selektah.